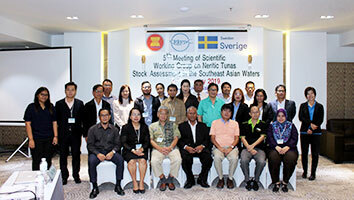 The SEAFDEC-Sweden Project organized the 5th Meeting of Scientific Working Group on Neritic Tunas Stock Assessments in the Southeast Asian Waters” from 9 to 11 January 2019 in Bangkok, Thailand, with the financial support from the Government of Sweden. 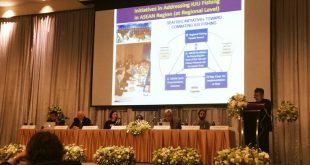 The Meeting was attended by the country representatives from ASEAN Member States (AMSs) namely Brunei Darussalam, Cambodia, Indonesia, Malaysia, Myanmar, Thailand, Viet Nam, representatives from Food and Agriculture Organization/Regional Office for Asia and the Pacific (FAO/RAP), SEAFDEC officers from Secretariat, MFRDMD and TD as well as Dr. Tsutomo Nishida, the Japanese expert (Resource person of the Meeting). 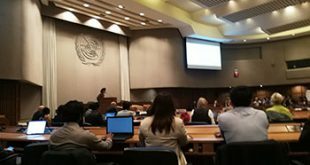 The aim of the Meeting was to discuss the results of the stock and risk assessment of Indo-Pacific king mackerels and narrow-barred Spanish mackerel and results of the genetic study of longtail tuna in the Southeast Asian waters. 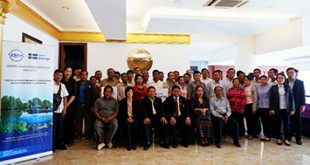 Finally, the Meeting came up with the way forward and actions to be implemented by countries and strengthened regional collaboration among the AMSs towards scientific-based knowledge on neritic tunas stock management for the sustainability of the fishery resources in the region.